They got married, had a boy. He was bouncy and fun, wise beyond his years. He taught them to love, taught them to be good parents. They had two more children. They played with them, looked after them. One day it was no longer safe for their children to play outside. Warning sirens announced the danger. Responsible parents, they taught their children what to do when the sirens wailed. Their boy knew to run to the safe room. Each time they ran, he ran first. So many times they ran. So many times he said the same thing. The danger grew, pushing the parents to flee their home. They were willing to leave everything behind, for as long as necessary, just to keep their children safe. As they were packing their son was playing in a tent he and his daddy had built in the living room. Outside it wasn’t safe but he could play in the living room… right? Mommy grabbed baby, calling the other little ones to the safe room. They did everything right. Everything except one thing. They were born Jewish, Israeli. 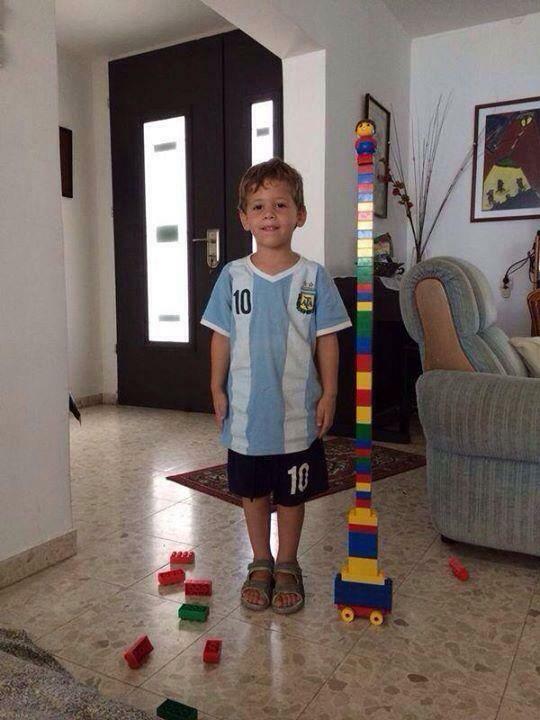 This is the story of 4 year old Daniel Tragerman, killed on Friday afternoon when a mortar fired by Hamas struck a car in Nahal Oz, near the Gaza border, sending shrapnel flying into the Tragerman family home. The mortar was fired near a school that Hamas was using to shelter displaced Gazans. Daniel’s funeral was held Sunday morning. Psychologists are still trying to explain to the children of Nahal Oz where Daniel is and why he will never come play with them again. So far Hamas has fired over three thousand rockets at Israel. Each time they fire they are trying to destroy another Daniel Tragerman. This isn’t Gaza. This is Ashkelon, Israel. Thank you for letting us share, and mourn, Daniel Tragerman.